Close City’s history is closely tied to that of nearby Post since it was included in Charles William Post’s initial land purchase and was supposed to be Garza County’s seat of government. Nicknamed “Ragtown” for the number of tents used by pioneer settlers, Close City would’ve been the county seat had surveyors not discovered it was a little off-center. Eleven miles off-center. Whatever construction that was in progress abruptly stopped and Charles Post chose a more centrally-located spot which became his namesake town – and the county seat. But Close City was not out. Development was slow and the town only had 50 residents, but these were enough to support a school, churches and a store. 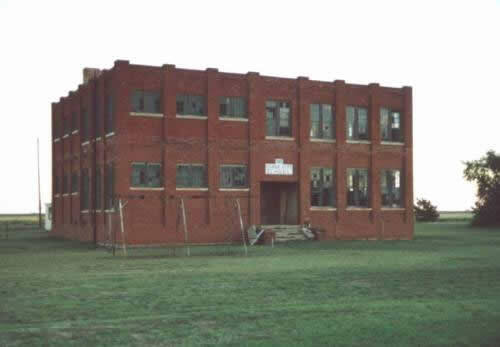 The school fell victim to consolidation in 1950 when it merged with the Post ISD. The population, which had stood at just over 100 residents in 1990 has declined slightly to 94 for the 2000 Census.